Busting out the all-#A2AAAD against another #A2AAAD user, huh? Big week for #A2AAAD fans. C'mon Dolphins. I knew when this game was on a Thursday that they wouldn't wear aqua pants even with the new rule. I've been waiting to see the Fins in white/aqua against Houston since the Texans became a franchise and yet again it's something different. This should be the Texans primary look, it looks mean. Why aren't the Dolphins in all orange? That would actually work for color rush. Ever have a uniform that you have no idea why you absolutely hate it, but you just do? Texans color rush is one of those for me. Something about it just really doesn’t work for me at all. And the Dolphins uniform tweaks really make a big difference compared to last year. Not bad at all. But Belly Flop/Toothpaste Dolphin can still GTFO. Because formal color rush is dead, and the Dolphins orange color rush was too much Volunteer Orange and didnt look right. The Dolphins changed their shade of orange this year when they dropped the navy blue accents. The orange is actually darker and would look better than the old Color Rush ones did. I still don't really wanna see it again, especially in monochrome. They dropped the all orange as well when they made the change and elected all white for color rush. 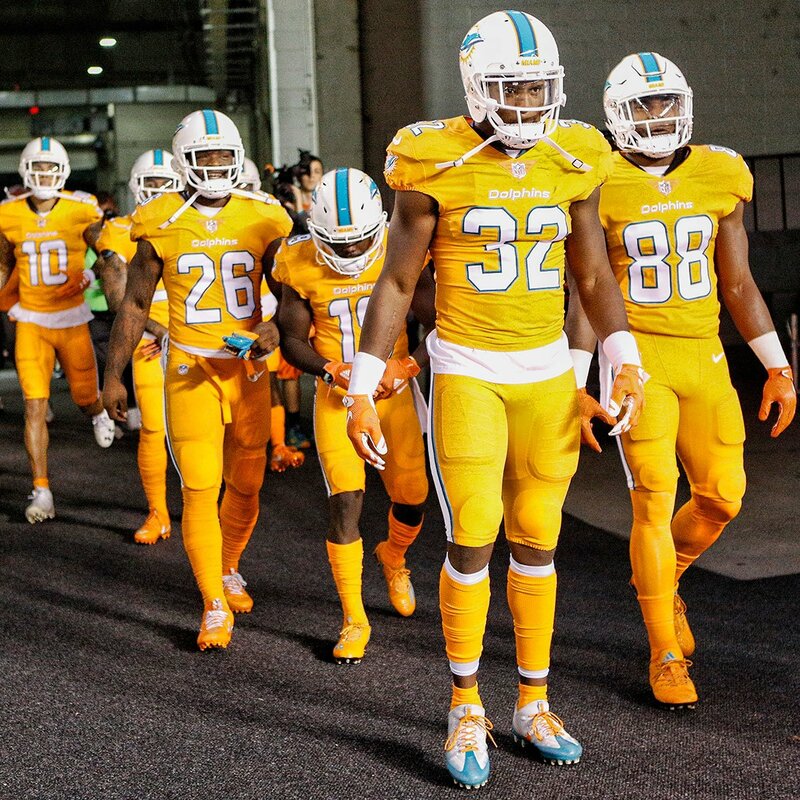 True, but even the orange color rush didnt match the orange the Dolphins had last year....at least i dont think it looked like it matched. 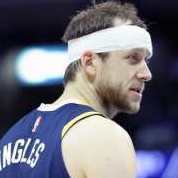 Any word yet if the 100th anniversary season will feature more throwbacks or possibly looser helmet rules (I would think that to be a long shot)? The original orange unis were way better. Eagles in white jersey/black pants tomorrow? ^God I hope not. There will be way too much black in that uniform matchup if that’s the case. It’s gotta be a mistake. They once had a London mannequin wearing a Jaguars home uniform with teal socks that never existed. Rather see them do a Kelly green jersey but, probably tough with current helmet.